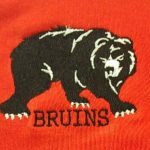 Girls Junior Varsity Tennis, Girls Varsity Tennis · Apr 24 Bruin Netters Compete at Muncie Central Inv. The tennis match at Elwood was rained out just before starting. The match will be made up on Monday (April 25) at 5pm.